Breathe Right Nasal Strips Extra are 50% stronger to breathe even better! 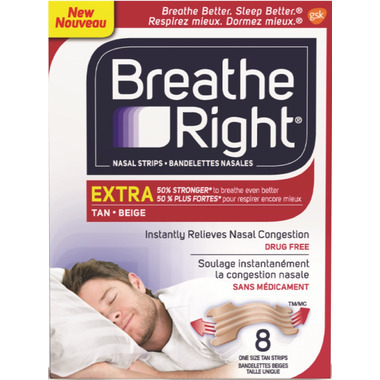 Breathe Right Nasal Strips Extra is drug free and instantly relieves nasal congestion. Bought these for my husband to try as he's been waking me up with his snoring - first week and it seems to be a success! Back to buy more!